The UPS Store has hundreds of franchise locations across Canada offering consumers and small businesses a wide range of products and services. 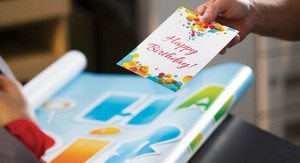 Need to print business cards, personalized calendars or presentations? How about flyers, postcards or posters? Large run printing, or small volume of copies? Full colour or black and white? We can do that! Need courier solutions? Across town, across the country or across the world, The UPS Store Canada has solutions for international and domestic shipping. Full service packing services are available in store, plus packaging supplies and moving boxes. Whether it’s copying and online printing solutions, document services, packing and shipping solutions, or mailbox services, you can get it all done at your neighborhood The UPS Store location.